Bringing a strong knowledge of the real estate market combined with an extensive background in banking and finance, Jennifer Cox offers her clients an unrivaled commitment and high level of service. Prior to entering the real estate arena, Jennifer spent over 14 years in the consumer and commercial banking industry, focusing on residential mortgage, sales, commercial underwriting, and commercial real estate. 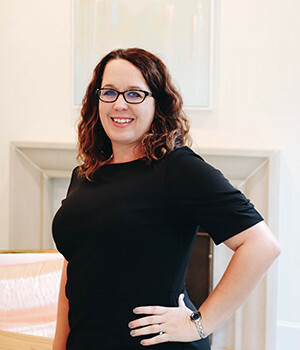 As an agent, Jennifer is dedicated to creating value for clients and providing sound guidance, personalized service, and reliable information to buyers, sellers, and investors alike. Her strong work ethic and passion has helped Jennifer build a business of repeat clients and referrals across the North Texas area. Jennifer has been a resident of Collin and Denton County for more than 28 years, with brief stints in Lubbock and Washington DC. Jennifer graduated from Texas Tech University with a degree in Finance, and is married with two wonderful boys. Jennifer also serves on the leadership committee who supports efforts to aid low income students in McKinney ISD.